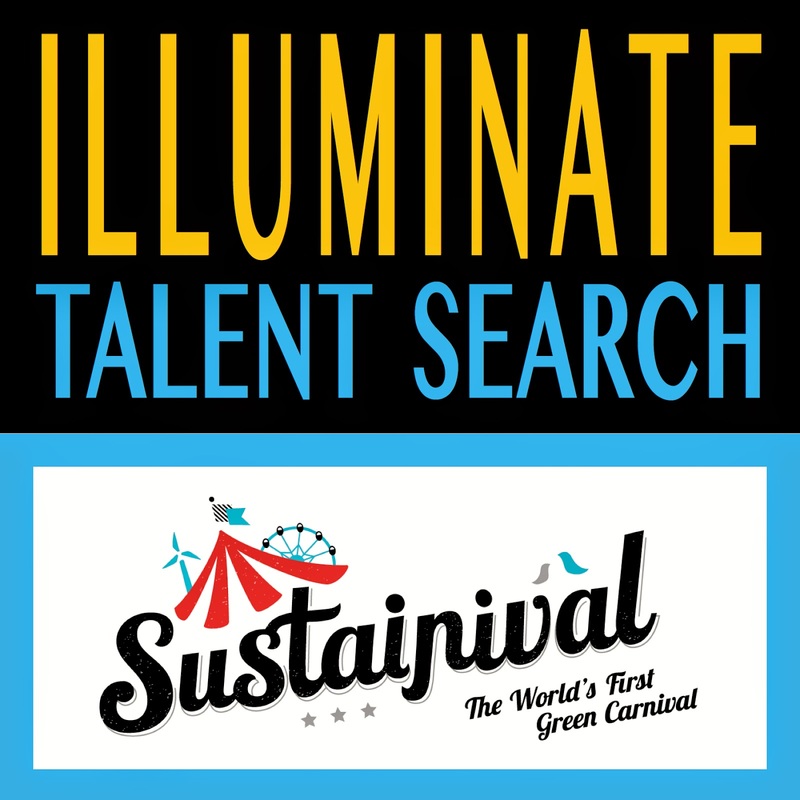 The second Illuminate Talent Search lit up Sustainival on Saturday and Sunday with a great variety of local performers. A total of 23 acts began the competition; among them were 5 dancers, lots of singers, and one incredible athlete. Eleven advanced to the final round. In the end, it was a gymnastics floor routine that swayed the judges and earned Ashley Ponak a first place finish and $2,500. "I was preaching at church yesterday and we had thought I wouldn't make it over to see Ashley perform," recounted Gordan Ponak, Ashley's dad. "I texted Lisa immediately after the third service and she told me Lisa was on next, but that there no parking. As you know MGA (McMurray Gospel Assembly) is close to Mac Island, so in most cases I would have had the chance to get there in time, but not without available parking nearby. I tried anyways. I missed her by about 5 minutes but was delighted to be there for the judges' announcement of the winners. Ashley sat on my lap as they began calling them up one by one. By the time they got to the second place winner I could see the look on Ashley's face. The disappointment was obvious. I looked over at Lisa with an 'aw that's too bad' kind of look. We also had conceded. The next thing I knew, Ashley's name was called. She leapt off my lap and made a beeline for the stage. Lisa and I just looked at each other with jaw's dropped. I'm not as proud of her achievement as much as I am of her hard work. I would have been just as proud if she hadn't won anything. But she planned and prepared for this event, on top of all the hours of gymnastics training that she does weekly. I was thrilled that her hard work resulted in such a great result!" The trio Adams Honor came in second place, winning $1,000, while East Indian dancer Akshaya Lakshmi earned third and $500. There were two additional prizes awarded which honoured attitude and potential. Josh Murphy earned the Big Spirit Award and Karlie Boostrom demonstrated that she is a star of the future winning the Spotlight Award. 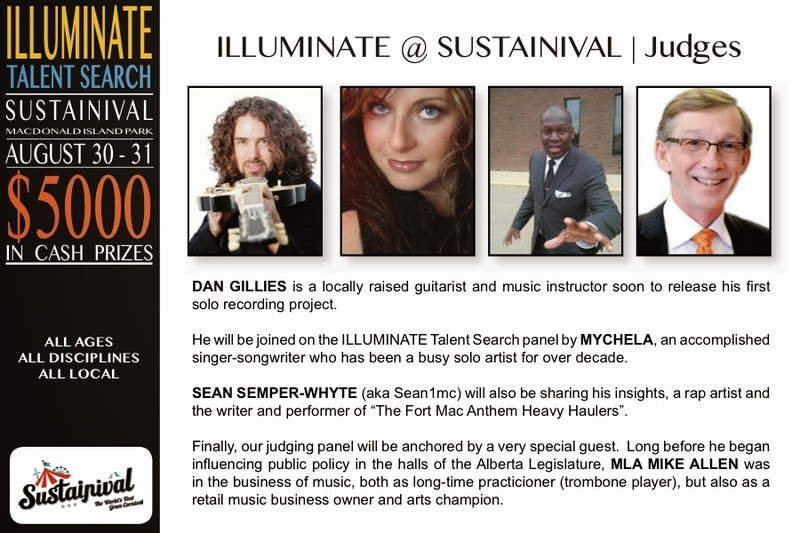 The second Illuminate Talent Search had a judging panel comprised of MLA Mike Allen, guitarist Dan Gillies, singer/songwriter Mychela, and rapper Sean1MC (Sean Semper-Whyte). A grassroots, volunteer effort, Illuminate was created with the goal of unearthing local talent and giving them a venue to be seen, heard and appreciated. It is designed as a great plug-in attraction for established events. If you are interesting in adding the Illuminate Talent Search to your next major event, please send an email to illuminateymm@gmail.com.